Should these risks make women reconsider waiting to get pregnant? Not necessarily. "I just think you need to put more thought into it," says Leah Lamale-Smith, MD, a perinatologist and assistant professor of obstetrics, gynecology, and reproductive sciences in the UCSD Division of Maternal-Fetal Medicine in San Diego. You're born with all the eggs you'll have. They not only get depleted over the years, but their quality drops. "Your eggs age with you, so they're more likely to have errors," Lamale-Smith says. Errors in chromosomes lead to disorders like Down syndrome, which can happen at any age but are more common in mothers older than 35. Also, hormonal changes after age 35 can trigger the release of more than one egg at the same time during ovulation, raising your chance of having twins or other multiples. Thirty-five isn't the magic cut-off point for pregnancy, but it is the age when your risks become worth considering. "It's not that the risk shoots up, but every year, it gets slightly harder to get pregnant and it gets slightly more dangerous," Lamale-Smith says. She suggests creating a "reproductive life plan." Think about how many children you want to have -- and when you want to have them. Then you can plan ahead, which could include freezing your eggs if you're not ready or you don't have a partner. Before you start trying, see your obstetrician/gynecologist for a checkup to make sure you're healthy. Go over your personal and family health history, and discuss shots and screening tests you'll need. 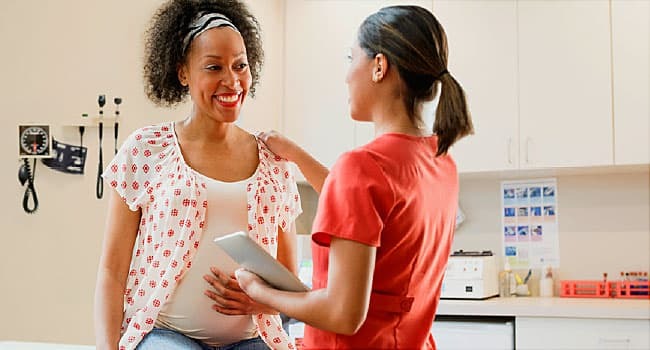 Waiting to get pregnant does have its upsides -- including a more solid financial footing and greater life experience to fall back on. Yet it can be hard on your body, especially if you're not in great shape to start. "Most older women do very well and have wonderful pregnancies," Lamale-Smith says. "But you want to plan so you're as healthy as possible." How long should I try to conceive? If you're older than 35 and you've been trying to get pregnant for 6 months or more with no luck, see a fertility specialist.